FREE 1 MONTH RENT!! FF 3BR in Prime Loc. Doha, the capital of Qatar is one of the fastest growing cities in the world. The city was founded in the 1920s and became the capital of Qatar in 1971. Through the years, Doha has been through more growth and development. And as a result of this growth, the city has welcomed a multitude of new residents from all around the world who now call Qatar their home. That is why the country is always expanding to accommodate all the new residents. Even though Doha comprises numerous new developments, many of those residents prefer living in the old established neighborhoods in the capital. Popular with locals as well as expats, Al Saad is one of the most populous neighborhoods in Doha. Within close proximity to all other areas in Doha, Al Sadd is strategically located in the heart of Doha. Apartments for rent in Al Sadd are very popular among young professionals because the area is active and lively. However, some families prefer renting an apartment in Al Sadd as the area offers close proximity to numerous facilities and services. Al Sadd includes several huge shopping malls, a wide collection of restaurants and cafes, as well as a huge number of retail shops. In addition to that, many excellent schools and health centres can be found in the area as well. Al Sadd is an established neighborhood in Doha; that is why the area offers great facilities and excellent amenities. Several buildings in Al Sadd also offer added amenities and facilities such as a reception area, a fitness centre and a swimming pool. You can find apartments for rent in Al Saad in all shapes and sizes, and according to your family’s needs. You can very easily find an apartment for rent in aal-Saad that suits both your budget and your lifestyle. Apartments available for rent in Al Saad are various and plentiful, ranging from furnished, unfurnished and semi furnished apartments. 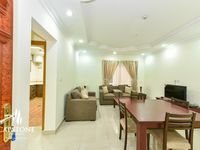 Apartments for rent in Al Sadd also vary in size, ranging from cozy studio apartments and one-bedroom apartments to spacious three-bedroom and four-bedroom apartments. 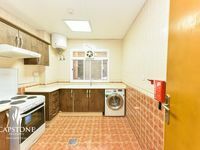 Rent an apartment in Al Sadd? Al Sadd is an active and lively commercial and residential hub in the heart of Doha. 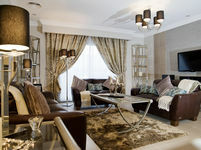 The area comprises a huge number of upscale apartments for rent. It is considered to be one of the busiest and liveliest areas in Doha. Apartments for rent in Al Sadd provide you with a great home in a lively neighborhood in the heart of Doha. The area offers close proximity to all the major landmarks in Qatar. 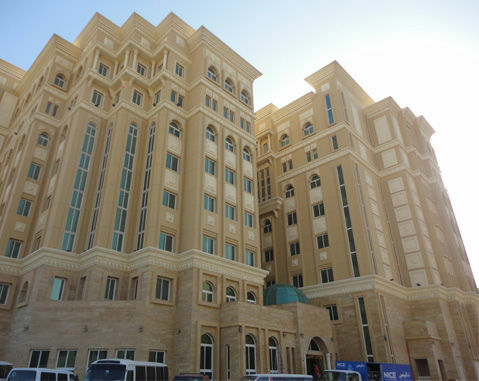 Moreover, numerous facilities and services are available in Al Sadd. All in all, apartments for rent in Al Sadd are an ideal choice.